Private Home Healthcare, Inc. offers medical and non-medical services to individuals who prefer to stay in the comfort of their own homes, yet need assistance with their existing conditions and when pursuing daily activities. Our company is CPR-Certified, Insured and Bonded. We proudly serve the residents of Houston, Texas and its surrounding areas. We understand that there is no single solution that fits all situations. With that, we take some time to evaluate the specific situation of each of our clients and identify their respective needs and preferences. With the results of our evaluation, we tailor our services to cater to such needs. Our staff consisting of certified nurses assistant and private home sitters will be the ones to provide our clients with these services. Best of all, services are provided in the comfort and safety of the client’s own home, living facility, hospital and nursing homes. We are proud to have the most talented professionals in the industry. All employees undergo an extensive background check before being hired and deployed to care for clients all over the community. Our team has a collective 125 years of experience in caregiving. We take inspiration from our founder and CEO, Ms. Carla Jackson, who has been practicing professionally for 22 years. She follows the footprints of her mother who has been in the industry for 37 years. We are ready to provide you with the right care that you deserve. Whether you’re trying to cope with the rapid changes of aging or if you’re facing recuperation challenges after a major surgery, you can turn to Private Home Healthcare, Inc. for help. 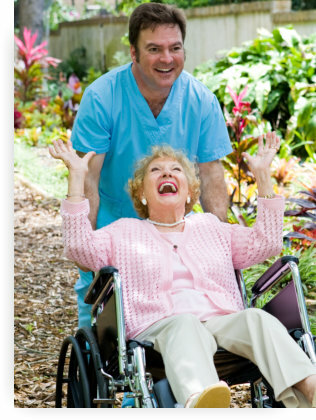 Call 800-490-2709 today to start engaging our home care and health care services. We serve seniors, adults, teens, and children with special needs.